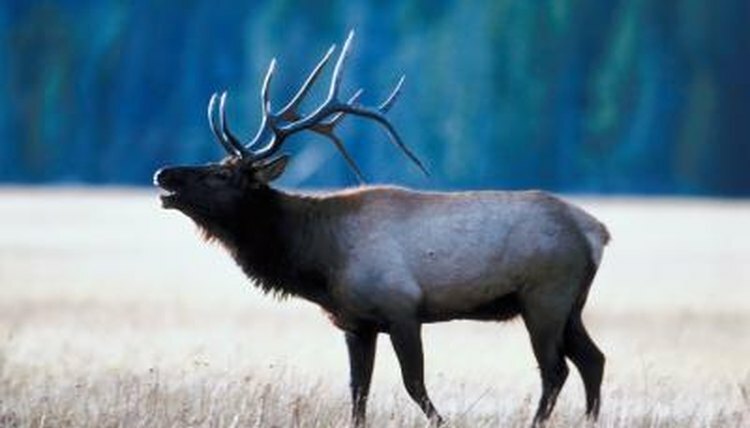 Before the European settlers arrived, the American elk had the largest range of any deer in North America; an estimated ten million thrived across the continent. However, unregulated hunting, grazing competition from livestock, and habitat destruction throughout the nineteenth century reduced American elk populations to fewer than 100,000 animals. Fortunately, the American elk’s natural adaptability, along with wildlife management efforts, have helped to stabilize and even increase the animal's population in both the United States and Canada. Today, the American elk lives primarily in the western half of North America, largely in protected, mountainous areas like Wyoming's National Elk Refuge and Yellowstone National Park. Eastern states like Pennsylvania, Arkansas, Kentucky, Tennessee, and North Carolina have reintroduced small herds into heavily wooded areas. In Canada, herds can be found from Ontario on to the West Coast. Typical elk habitats consist of a patchwork of woodlands and large, open spaces. Heavily wooded areas offer elk sanctuary from humans and predators, while open areas provide foraging sites where elk can locate and consume the plants that make up their diet. During the winter, American elk herds in colder regions descend to valley pastures. Densely wooded areas and north/northeast-facing mountain slopes provide cover for the elk. In turn, more arid and open south/southwest-facing slopes make for adequate foraging sites where elk can nose through the snow and find grass. During the summer, American elk populations living in areas that experience severe winters usually migrate to higher elevations. There, elk are less likely to be disturbed, which is ideal for the births of elk calves that take place during this time of the year. In states where weather is temperate year-round, elk tend not to migrate, or do so only over short distances.